July 31, 2015 Posted in Dessert, Food, Snacks. 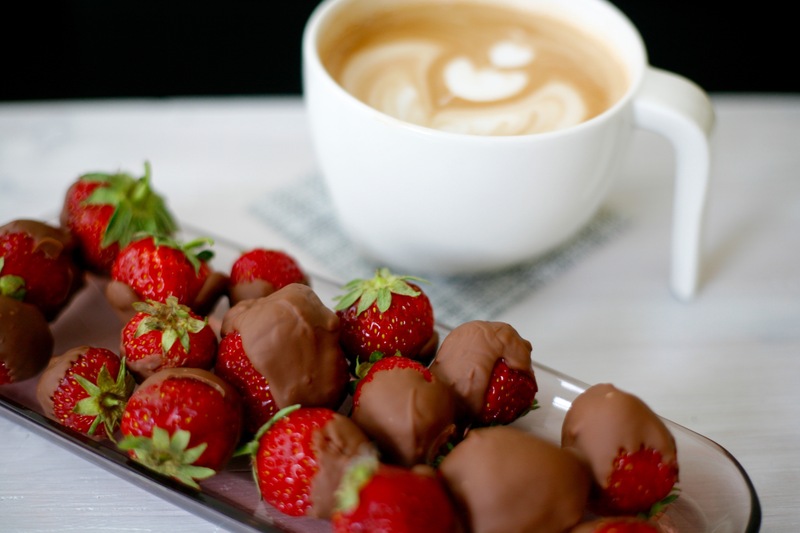 Strawberries dipped into melted chocolate. Then cooled down in fridge. These are awesome sweets as a summer snack. With sparkling wine or coffee, you name it!